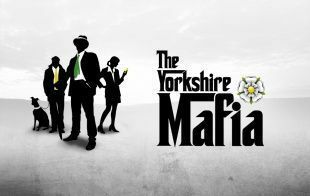 The Yorkshire Mafia Conference will be held at the Leeds Royal Armouries from Wednesday 21st March – Thursday 22nd March 2012. If you want to find out more about this Conference such as seminars and who will be exhibiting you can visit the official conference website here. There are over 3000 delegates coming to the conference and over 155 exhibitors, with SMileS SMS & ME Consultancy Ltd being one of those exhibitors. Seeing as the conference is going to be filled with plenty to do we thought we better tell you why you need to pay our stand a visit! Firstly, if you visit our stand you will be able to learn more about what we do and we may offer up some services/products that might be of interest to you. ME Consultancy provide customers with advice on their telecoms expenditure and implement telecoms solutions that will give you the best value for money from the services required. We can provide a full review of voice and data spend and provide access to a wide range of products from the BT retail and wholesale portfolio. Feel free to bring your bills along to the conference and we will do a free review there and then and identify any areas of cost saving or if you have any queries about your telecoms we would be happy to advise you on these matters. Our sister company SMileS SMS is a business text messaging service. If you have any questions about Mobile Marketing then we are the stand for you. We can talk you through the range of SMS technologies we have on offer and how you can use them to effectively engage with your customers. We will also be able to show your how our SMileS portal works, so we can show you how simple it is to set up campaigns, upload your database and how you can monitor the success of campaigns through statistics. We also have some great offers for you on the day including discount on keywords, managed service and credit/text bundles. We will also have one of our biggest SMileS customers – Total Fitness with us so they can tell you how texting works for them. The second reason to visit our stand is there’ll be cake! Every Friday in our office we have #CakeFriday which is when Sara (our boss) from the team bakes cakes and buns for the office, we tweet about it and often have visitors in on this day. We take the #CakeFriday ethos to all the conferences we exhibit at so why not come say Hi, have a chat with us and grab yourself a cake! 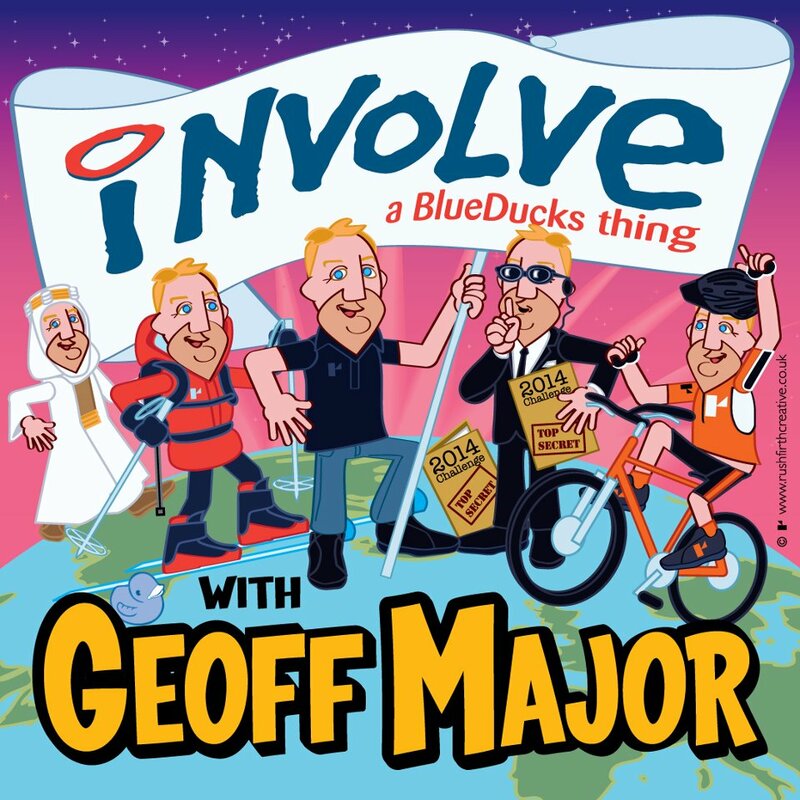 Geoff Major’s Charity North Pole Trek Flag revealed! 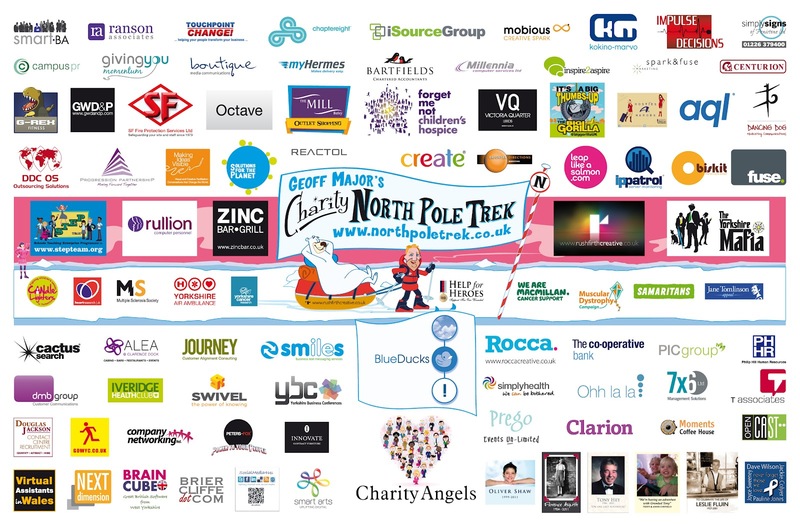 We are proud to be #ontheflag going with Geoff Major on his North Pole Trek. The fantastic flag was design by Rushfirth Creative and represents £5,000 of donations by companies and individuals. The flag will be going all the way to the North Pole with Geoff and once Geoff has completed his North Pole Trek the flag will be raffled off and one of the entrants #ontheflag will win it to keep as their own. The flag will also be displayed at the upcoming Yorkshire Mafia Conference where Geoff is exhibiting to increase awareness of his trek and encourage donations. 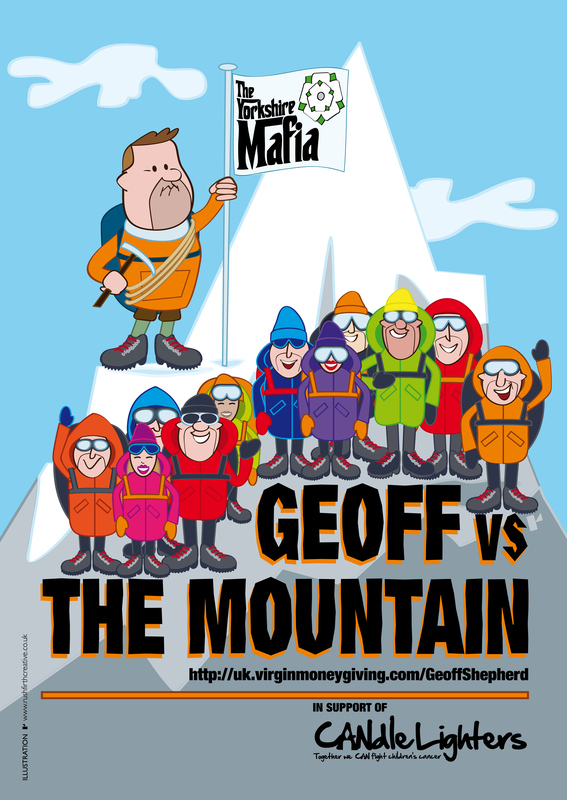 Visit Geoff Major’s blog to read all about his upcoming trek – Have I really signed-up for this? One of the great things about The Yorkshire Mafia is some of the interesting people you meet. When Mark Evans met Charles Clayton at one of the drinks evenings a great conversation ensued and Mark learnt plenty of useful tips from Charles about web usage. Charles very kindly reviewed some of the websites of people he met that night and we were lucky enough to be one of those. The company that sent us all a nice reminder about the drinks do. I now understand more about SMS marketing and how not to annoy people with it. Their website: small blue writing is difficult to read, no staff pictures, no SEO, but Mark knows his stuff about SMS marketing….I hadn’t seen it the way he described it to me. Charles identified some areas for improvement for our SMileS site which we took on board as positive criticism and as a result made a few changes. For example, Charles mentioned we have no staff pictures on our website, from this we have set up our ‘Meet the Team’ page so people can get to know a bit more about the people that work for SMileS and what role they play within the team. Adding the ‘Meet the team’ section was a great idea for SMileS as we often place emphasis on our team environment when doing business as we feel its one of our main strengths. This is due to the friendly and personal relationship we have with many of our customers which helps build a good rapport and create a good business working environment. By showing this on our website it helps potential customers get a feel for SMileS and the type of relationship they will have when working with us; which is often a contributing factor in the decision making process of which SMS software provider they want to use and can often reflect their own company ethos. One of the points he raised was about our blue text, which is one we agonise over, i.e. using the corporate colour versus readability. We would love your feedback, does the blue text work for you or should we change it? Help us decide. 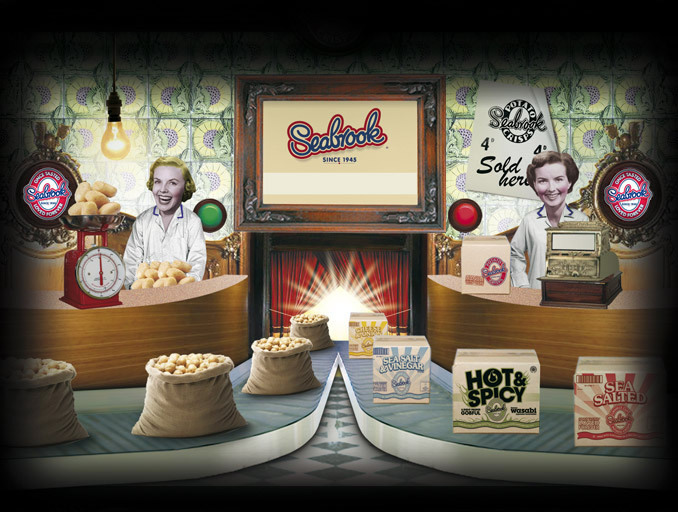 SMileS & Seabrook Crisps working together, are you doing all you can to encourage working with fellow businesses in Yorkshire? “We approached ME Consultancy to set up new Telco and Datacoms for our move from serviced offices into leased space. I don’t feel that at any time we were ever sold anything but rather that we were appropriately advised and guided as to what would work best for us.